Norwegian settlers who had been living in the Red River valley near Crookston, Minnesota came to the Bardo area in May 1894. Many families spent the first winter in dugout shelters while collecting materials to build a proper home. As many new families came from Norway, the community was growing. A significant number of these settlers came directly from Bardo, Norway, and that is how Bardo, Alberta took its name. The first post office operated under the name Northern, from March 1898 until December 1904, when the name was officially changed to Bardo. The first school was built in 1898 and was also used as the community's place of worship. In 1908 land was donated, funds were raised, and Bardo's first church was built. This church was in use until it burned down in 1921. A second church was constructed, and the first service held on September 3, 1922. Telephone service came to Bardo in 1910. The first power line in the area was built in 1928, but it wasn't until the formation of a Rural Electrification Association (R.E.A.) 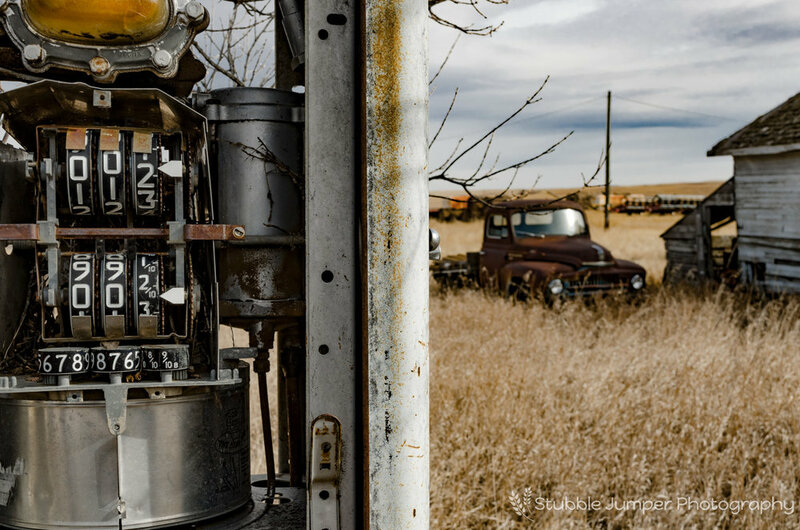 in the early 1950s that electricity became more widely available to the area. Construction of the Tofield–Calgary branch of the Grand Trunk Pacific railroad began in 1909, shortly after the mainline from Winnipeg to Edmonton was completed. Steel was laid to Bardo, the first station south of Tofield, in November of 1909. The first train traveled from Tofield to Camrose on the 5th of February 1910. Due to default on repayment of construction loans to the federal government, the GTP was nationalized as the Canadian National Railways in 1920. By the mid-1930's passenger and freight service going through Bardo began to dwindle. Freight service continued until 1977-78 to accommodate the grain elevators. In 1978 the rails between Tofield and Kingman were removed. 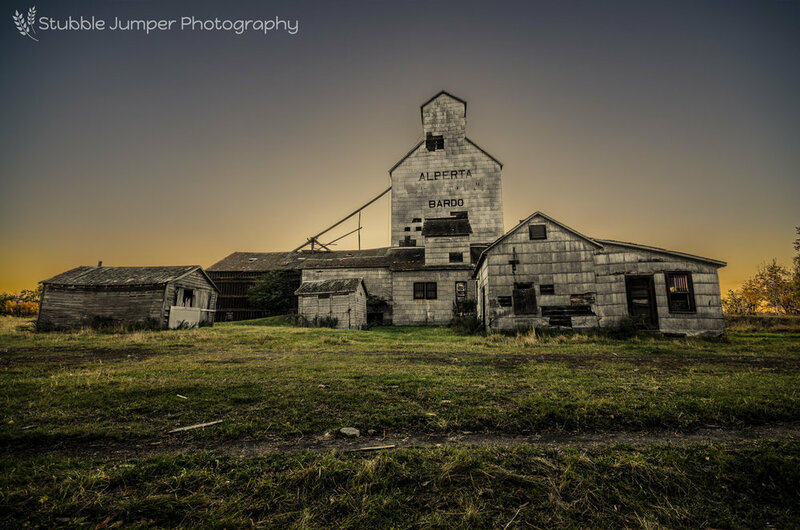 As farms increased in size, producing more grain, Bardo realized the need for a grain elevator. 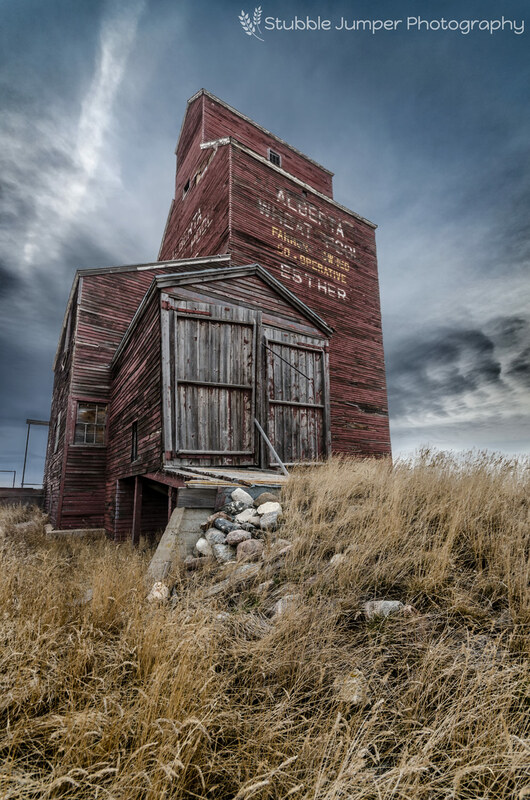 In the early 1920s the Pioneer Grain Company built a 40 000 bushel elevator at Bardo. 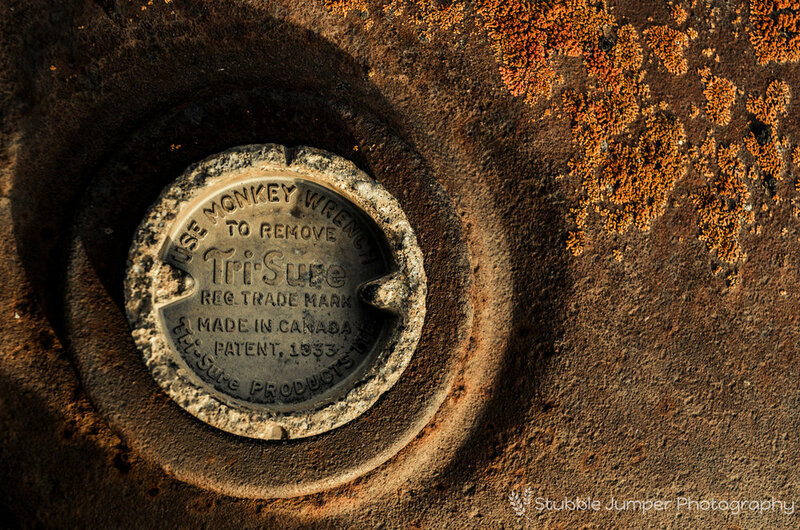 Power was supplied by a 10-15 horsepower, one cylinder engine. These engines were referred to as a one lunger. 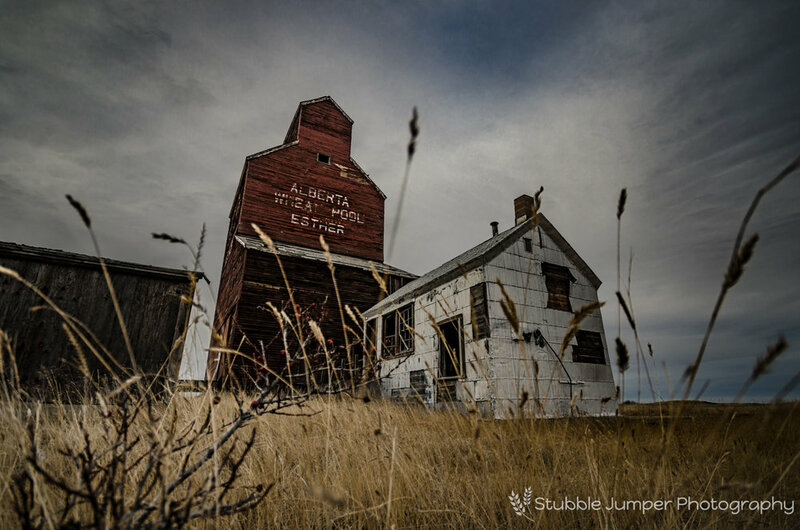 In 1929 the elevator was sold to Alberta Wheat Pool who added a 35 000 bushel annex in 1940. The annex, intended to be temporary was not built on a foundation. 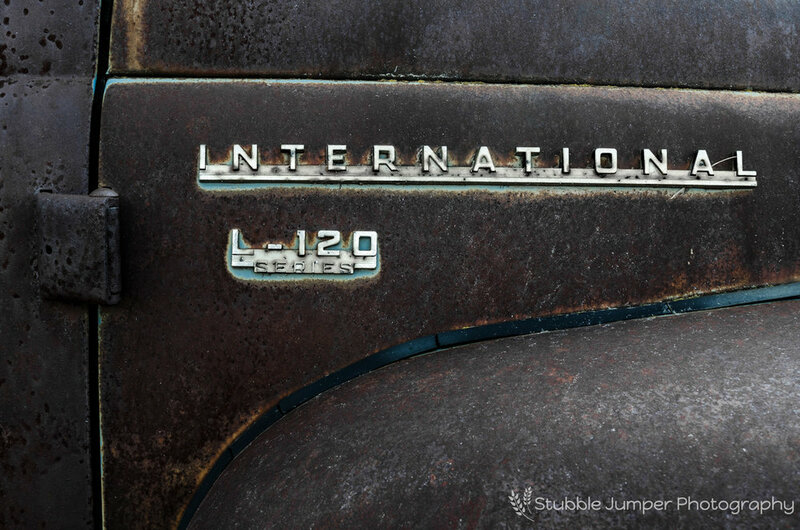 The one lunger was replaced by a four-cylinder continental engine in the 1960s. The Bardo elevator closed for business on July 31, 1971. In 1972, the elevator was sold to the Bardo Elevator Co-op who used it for about ten years. Today, the current owner, who acquired the property a little over a decade ago, does what he can to prolong the life of the elevator but it is falling into disrepair and needs a roof. 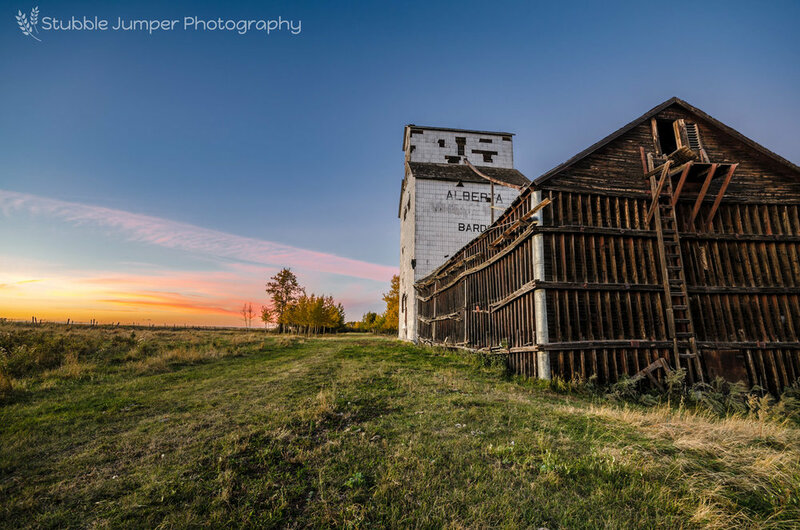 With estimates well into six figures for a new roof and no help from the powers that be, the Bardo grain elevator will continue to deteriorate like so many others. Never a large settlement, only ever reaching about 65 residents, Esther has always been known for its community spirit. People would come from far and wide to attend social gatherings, they would lend a helping hand whenever needed, and undertake projects for the betterment of their community. The area saw most of its settlement happen between 1910 and 1915. Esther is named for the first postmaster Yens B. Olsen's daughter, Anna Esther Landreth. With the onset of the First World War, many were prosperous. 1914-1916 were booming years. Crops were good, wheat was at a premium, roads were built and school districts organized. In 1913 the Municipal District of Canmer was formed. The name was chosen because many of the settlers came from Canada and America. In late 1937 the municipality was disorganized and along with many others became what is now known as 'Special Areas'. The late 20s and 1930s were some of the worst years the area has ever seen. Dust storms and weeds started to appear. There was drought, hail, and grasshoppers almost every year. In 1932 wheat sold for as low as 19 cents per bushel and cattle as low as 2 cents a pound. Taxes could not be paid and people were leaving in large numbers, reverting their land to the municipality. Those who stayed were able to purchase this land, often for the cost of taxes owed on it. In 1932 the Alberta Government awarded Canmer Municipality a relief contract to build nine miles of Highway 9 north of Oyen. This helped some make it through the winter, but the Alberta government deemed it too costly of a way for providing relief. This, in turn, brought about a direct relief program where a family of three would receive $8 a month for groceries, $15 a year for clothing, as well as coal and extra vegetables when needed. This continued until the start of World War II when work became available again. The Second World War saw the mechanization of farms intensify. Tractors were replacing horses and combines started appearing in the district. With these machines men were able to work longer hours on their expanding acreage, often into the night. 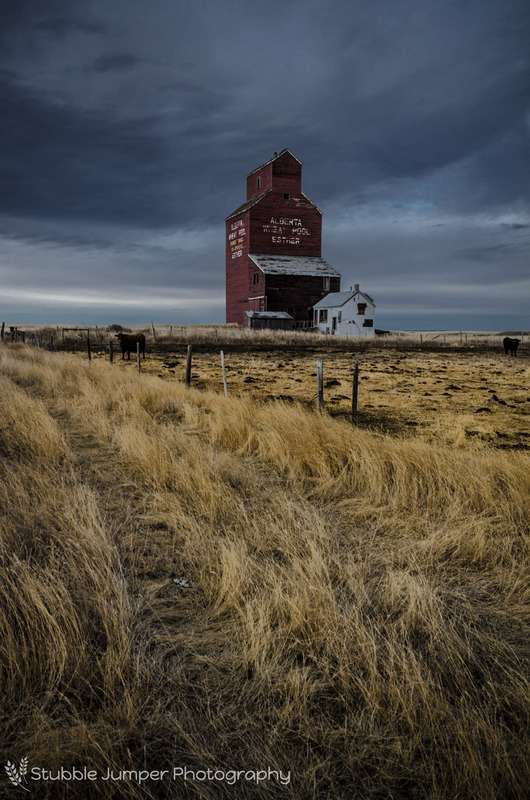 Esther's only elevator, an Alberta Wheat Pool, was built in 1926 and closed in 1979. 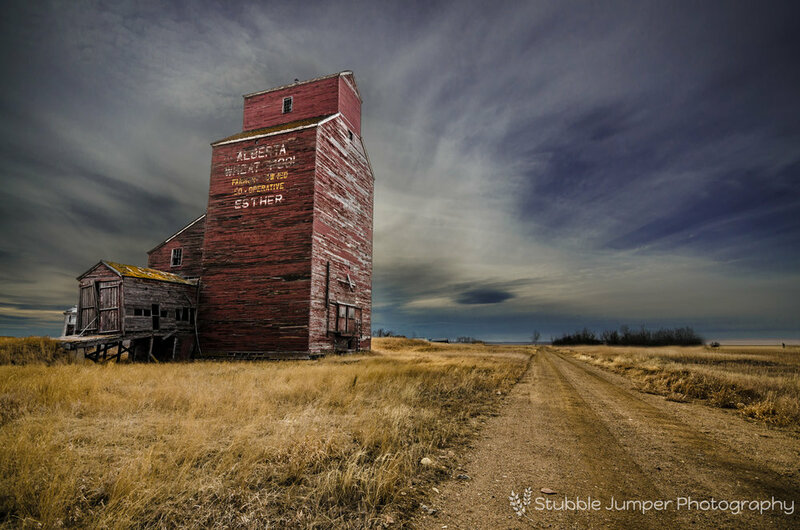 It was the third Wheat Pool elevator to be built in the Province and is the last one still standing. Prior to the train coming to Esther farmers made the 14 mile trip to Loverna Saskatchewan to sell their grain. The railroad arrived in Loverna in 1913. 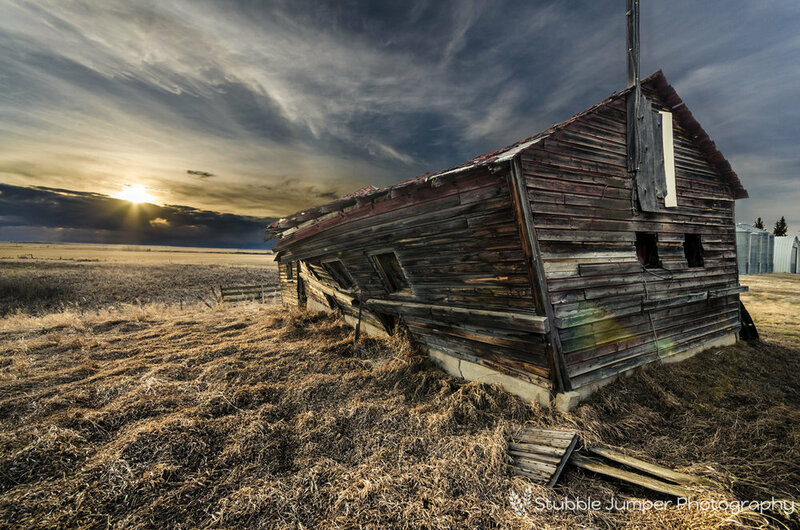 Before that Alsask, Saskatchewan was the nearest market town. Today, many of the original homesteading families have left the area in search of other opportunities. Those who have stayed are farming larger acreage and raising cattle as means to make a living. 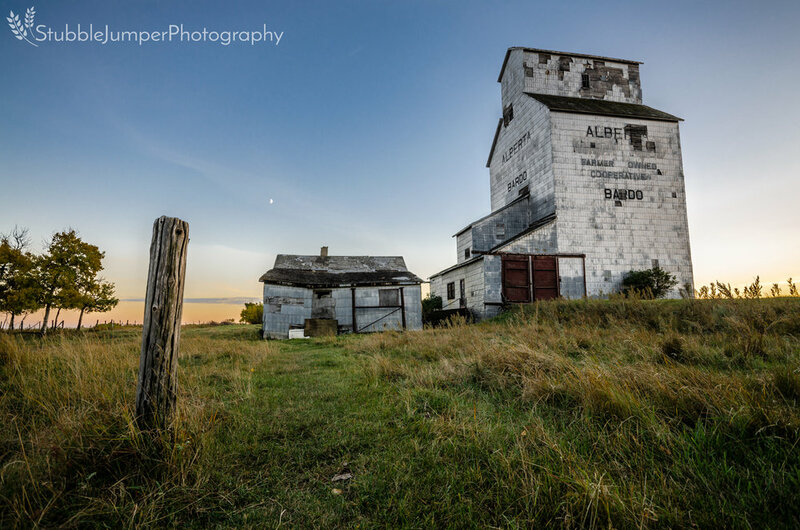 The owner of the grain elevator and many of the other buildings remaining in Esther has made efforts to secure funding, hoping to preserve these historic structures, but has met with little success. The original homesteaders on this land came from Denmark. The farm was passed down in the Nielsen family from 1903 until they sold to Bob Penner in 1971. 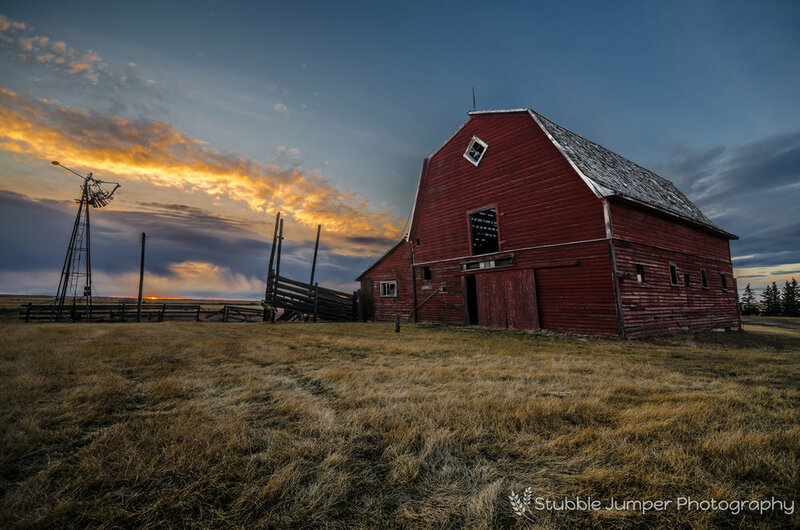 The barn was built in 1914 as part of a mixed farming operation. From 1914 to the end of 1941 the barn was used for the horses that worked the land. In later years it was home to dairy cows and hogs. 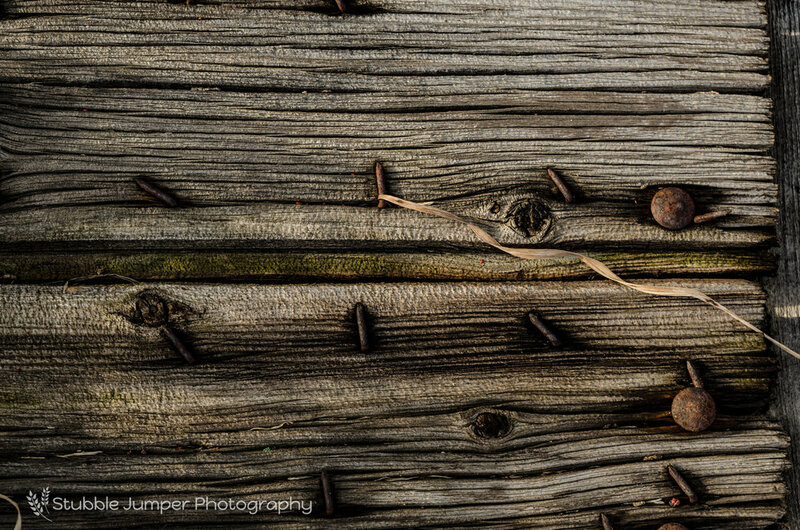 The barn received power in 1947, a cement floor was poured in 1964 and by 1968 the barn was no longer in use. It still stands as a testament to the hard work and determination it took to settle the land.